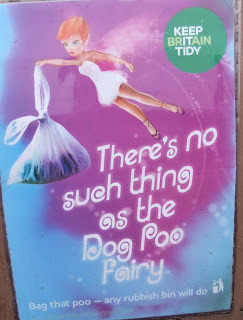 I can attest to there not being a poo fairy.... I see you are staying busy. I'm also trying to refocus in a few things, rather then many! Oh how I agree. We have a lot of them in our neighbourhood here in Canada. I want to stick a sign beside every pile to tell them to "stoop and scoop" as we say. I like that! When picking up my dogs' poo on my local park I used to get loads of kids laughing and making fun of me! I used to shout back Maybe I should leave it here and hopefully you'll fall flat on your face in it! How I would love a few copies of that poster. The walk to school is currently a nightmare. Dog poo is one of my bug bears...please don't get me started especially as the kids then sit on the carpet and fiddle with their shoes.